Traveling is often associated with love. And that is why a trip to some hot destinations is what many couples decide to do. The world is full of places that are made for romance. They’re hidden in all corners. And whether they’re mainstream or underrated, we’ll break down the most romantic places on Earth. They say that every place is beautiful if you visit it with the one that you love the most. But is that entirely true? You have to admit that some spots are just more romantic and warmer than the others. They wake special feelings in you while you’re there and make your love even stronger. No matter your preferences, there are romantic places to satisfy every taste. Whether you imagine your holiday with your partner on the beach or in the coldest parts of the Earth, you’re covered. A lot of the most popular vacation destinations, though, cannot keep up with the private small beaches where you could lie all day in your partner’s embrace and enjoy in your love. Guess what? In most cases, they’re situated on some exotic islands that’ll grab you since the moment you step there. Opposite of that, you’ll be amazed to hear that there are marvelous spots for you among the dense streets of some of the biggest cities in the world. There you’ll get the chance to catch a glimpse of the busy life and at the same time have the person of your life by your side. Isn’t that something everyone would wish for? What’s more, don’t underestimate the power of the tall mountains and the breath-taking lakes. They, too, offer some of the most amazing scenes you’ve ever encountered. After this, it’s clear that the old saying is not that applicable nowadays. So, let’s explore the most romantic places together and then you can decide where to go on a romantic tour. Whether you’ve visited these places before or plan to, they’ll surely get you in the romantic mood. Enjoy the list and let the warm feelings overwhelm you! 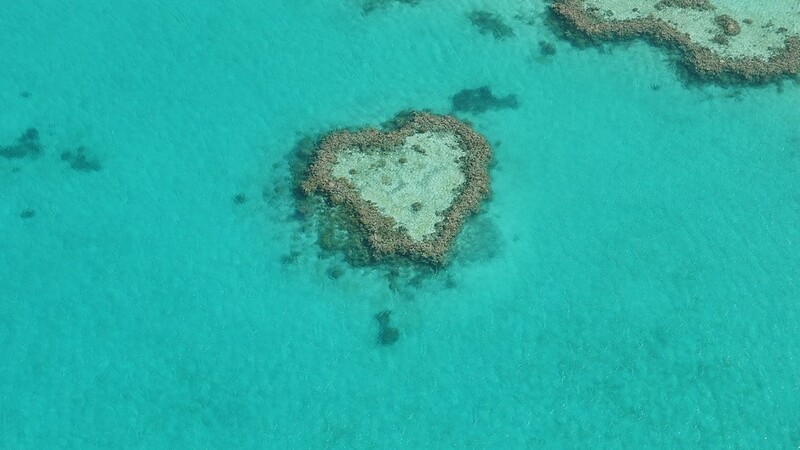 Heart Reef, Australia – Located in the Great Barrier Reef of the Whitsundays, this coral formation will definitely melt your heart and take your breath away. Naturally, this formation is in the shape of a heart and has been a go-to destination for many couples. It is best seen from a helicopter or a seaplane, for no snorkeling or diving is allowed. 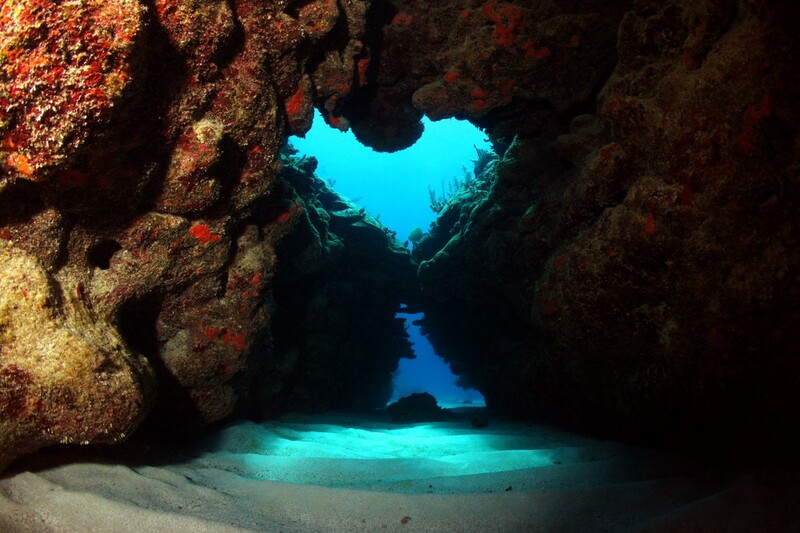 This reef has been a witness to many air proposals and romantic gestures. 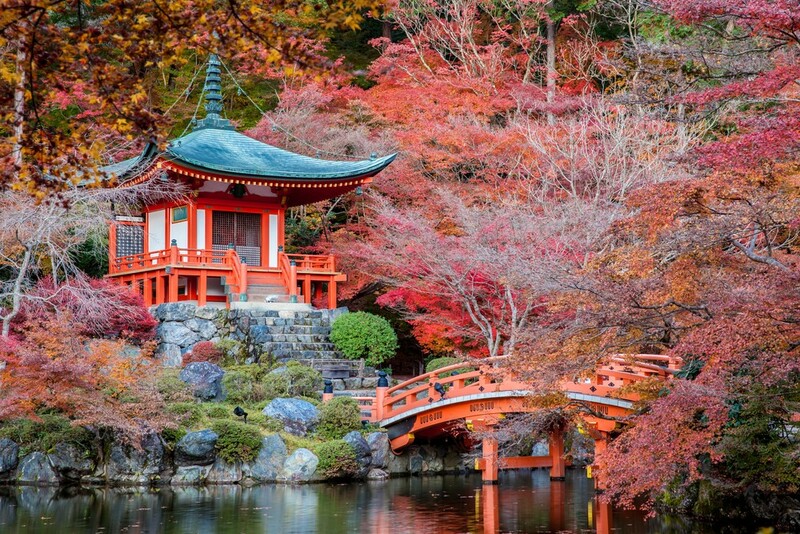 The gardens of Kyoto, Japan – Asia is romantic, all right. But one of the most romantic spots remains Kyoto in Japan. Peace, tranquility, and history are the main things that this city can brag about. Known for its temples, the place shines in hundreds of colors. The Chinese-inspired gardens are splendid where every Asian plant is on display for your eyes. It’s calm and intimate. A real paradise of Zen temples and budding flora. 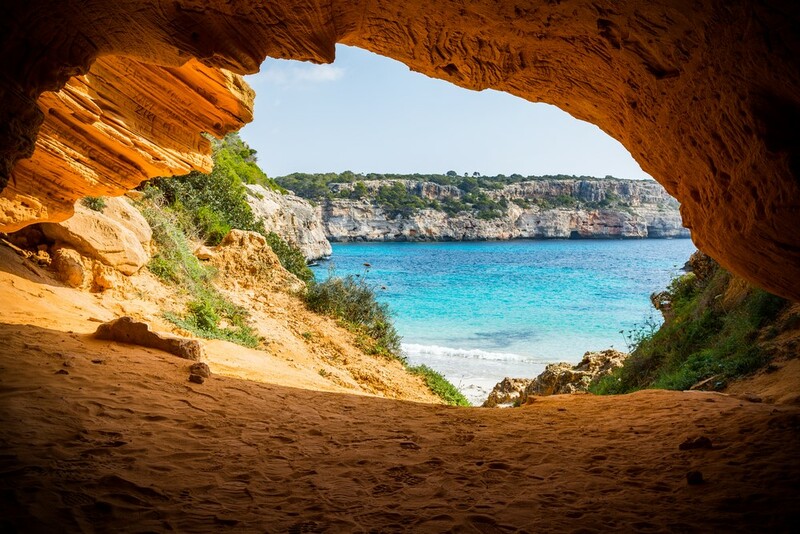 Majorca, Spain – It is said that Majorca looks like a Mediterranean postcard. They couldn’t be more right. Majorca is the definition of love and romance with the sun shining all the time. The sandy beaches are spectacular, the mountains are remote and the towns are speckled on hills. You can hike in pairs there or just relax in the delicious meals prepared by top Spanish chefs. The rich Spanish culture is also, always present through numerous festivals and marvelous architecture. 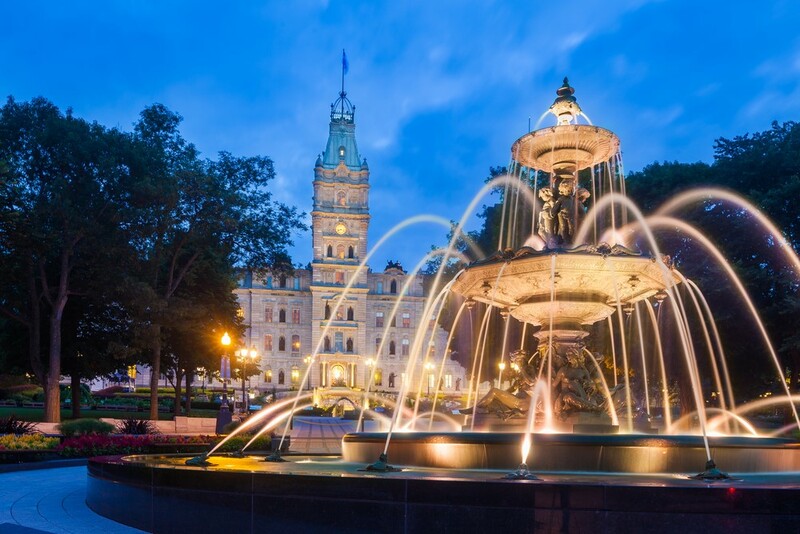 Quebec City, Quebec – This French-Canadian city is glorious in every season. But it’s transformed into a fairytale city during the winter time. The streets are small, narrow and covered in snow. The restaurants offer one of the best meals you’ve ever tasted. And there is a lot of spots where you can cuddle with your partner. You can also skate or take a carriage tour through the city. After each passing second there, you won’t want to return home. 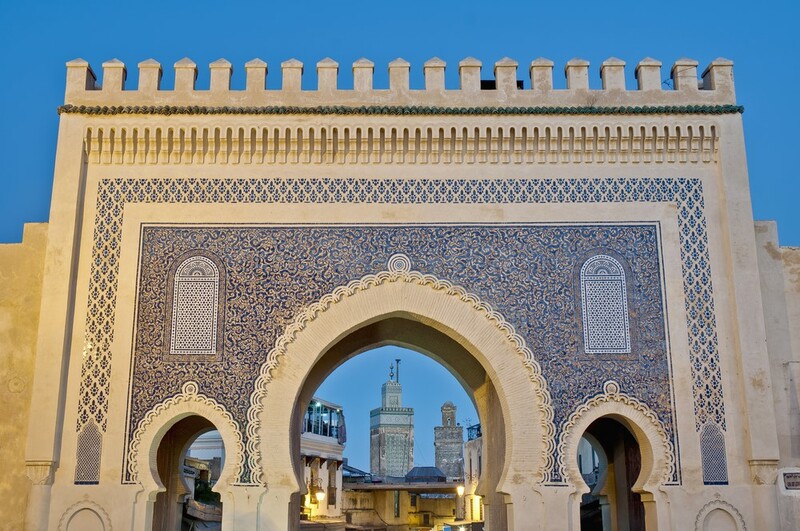 The medieval streets of Fez, Morocco – Traveling to Fez is just like going back in time. Its beauty is otherworldly with medieval streets, rich markets, and numerous historic sites. You can tour Heri es Souani to tour the famous granaries. Also, take a walk the Medina Square to see the marble gate with small little tiles like a mosaic. Every corner of this ancient city is full of history and tradition that stays with you. Believe it or not, outside this city, you’ll find amazing ski slopes, so you can book a room there. Greek Isles – It’s a fact that every part of Greece is one of the most romantic places on the planet, but the Greek Isles or The Cyclades are a real wonder. This destination constantly climbs all the lists with the turquoise waters, the bright sun, and the unique cuisine. The Greek Isles are visited by honeymooners and couples in love all the time. So you won’t be the only one. 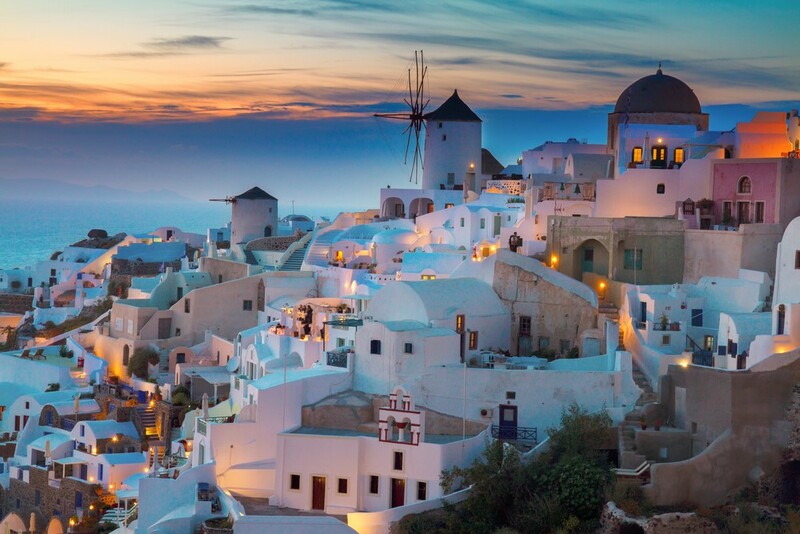 Santorini, for one, is the jewel and most popular of all of them. Resting on a hillside, its architecture is painted all in white. Romantic, indeed. 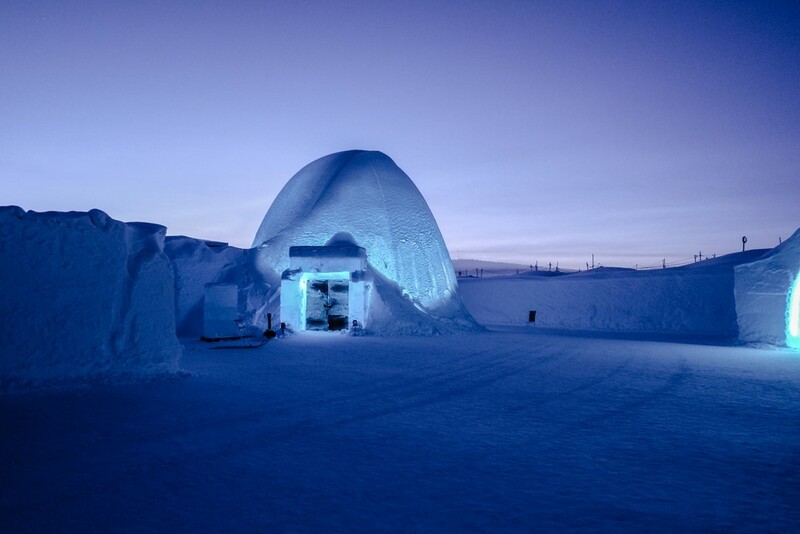 Ice Hotel in Jukkasjärvi, Sweden – The unique ice hotel in the cold Sweden is just what you need when you think of a holiday with your partner. It’s constructed every year anew and represents an art project like you’ve never seen. Located just 200 kilometers from the Arctic Circle, it’s a spot where you can experience the lovely phenomena known as Northern Lights. Paris, France – France’s capital isn’t called the City of Lights and Love for nothing. And it’s definitely the king of the most romantic places ever. The whole city breathes with love, it’s unmissable. Whether you take a stroll along the river Serine in a half-hug or dine at a cozy, warm bistro, you’ll feel the warm emotions. What’s more, you must climb the Eiffel Tower for the ultimate romantic experience. 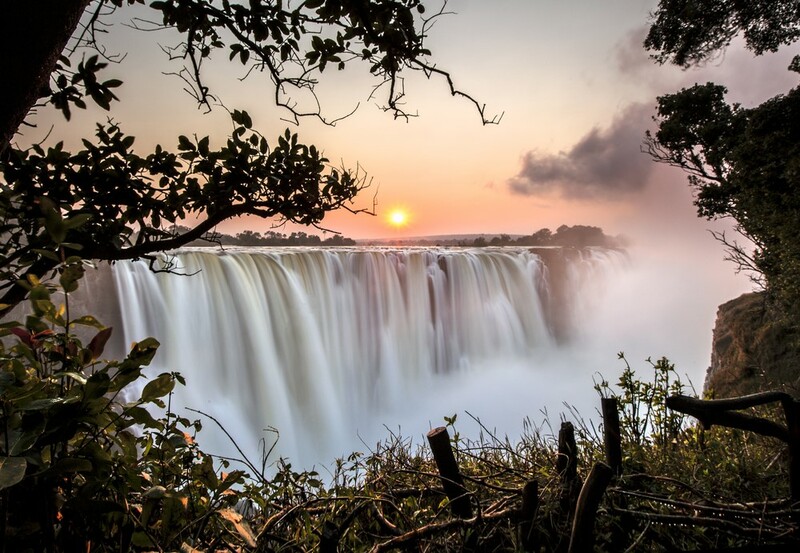 Victoria Falls, Zambia-Zimbabwe – The exotic adventure you’ll have there is just like falling in love. However, with your partner, the place will certainly look magical to you. Staying in the Tongabezi Lodge, you’ll have breath-taking rooms with river views. Having said that, this African heaven will keep you busy with several activities such as canoeing, Victoria Falls tours, island lunches and boating during the sunrise and twilight. Prepare yourself to be wowed! 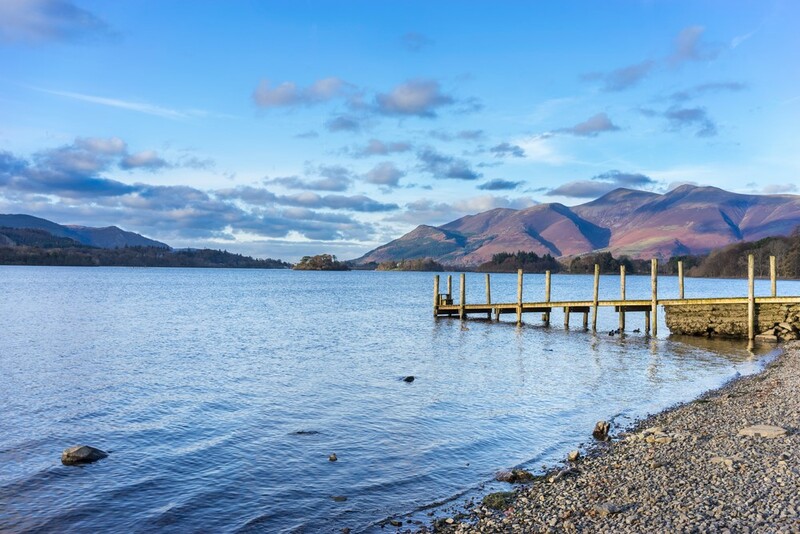 The Lake District in England, UK – The list of the most romantic places wouldn’t be complete without the mention of these terrific lakes. Located between England’s tallest mountains, the 16 major lakes are a must destination for all explorers in love. It’s ideal for long walks along the picturesque banks and the cute villages. What’s interesting is that you’ll find amazing pubs where you can relax and rest with a warm tea and delicious meals. Central Park in New York City, New York – The life and soul of the Big Apple, Central Park is where the whole of New York City comes together for relaxation. 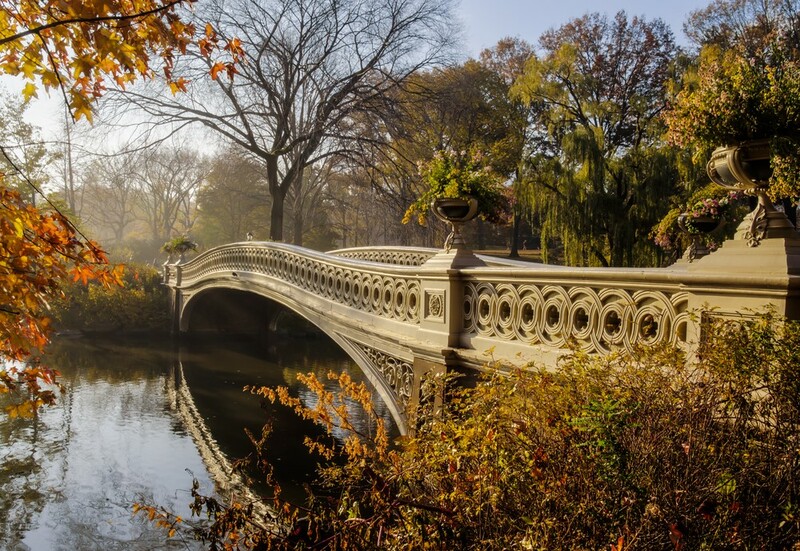 In New York, you’ll find the most romantic places here in the city’s playground. There are so many things to do here – from going with a boat over the lakes, the zoo, having a picnic to riding on a carousel and climbing the Belvedere Castle. You certainly can’t help it but fall in love even more with your sweetheart next to you. 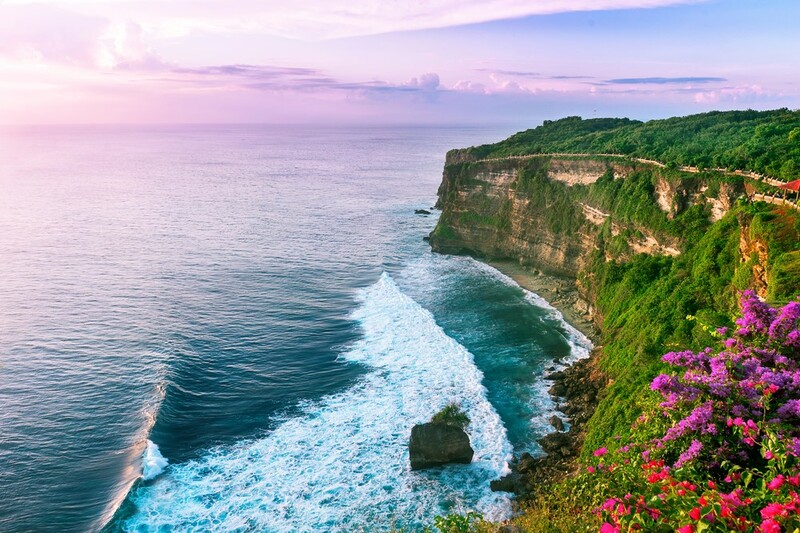 The beaches in Bali, Indonesia – The island charms tourists from all over the planet to come back over and over again with its rich culture and postcard-like scenery. Bali is a pleasure for all of your senses. However, some of the most stunning spots are its magnificent beaches. Sanur, for instance, is a celebrity beach destination where you can watch the sunset. Or you can escape the noise and settle on a quieter beach away from the southern ones. 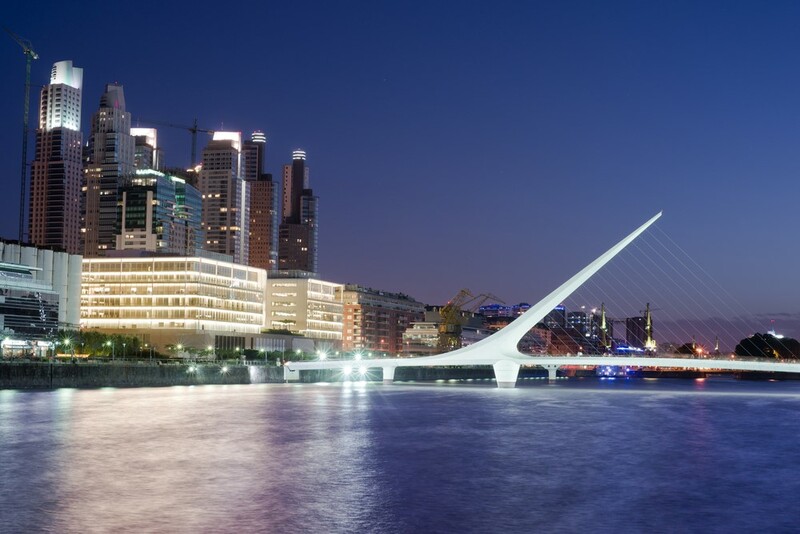 Buenos Aires, Argentina – There is something in the air of the Latin American cities. And Buenos Aires is no exception. It has an outstanding nightlife with clubs offering the best food, cabaret performances and so much more. The city also boasts with many theaters where you and your loved one can enjoy watching a play or an opera. Of course, South America wouldn’t be what it is without the latin dances. Here you can dance your heart out in numerous clubs as well as take long walks in one of the most beautiful parks. If you want blooming flowers and fewer crowds, then you should check out this fantastic place in the spring. 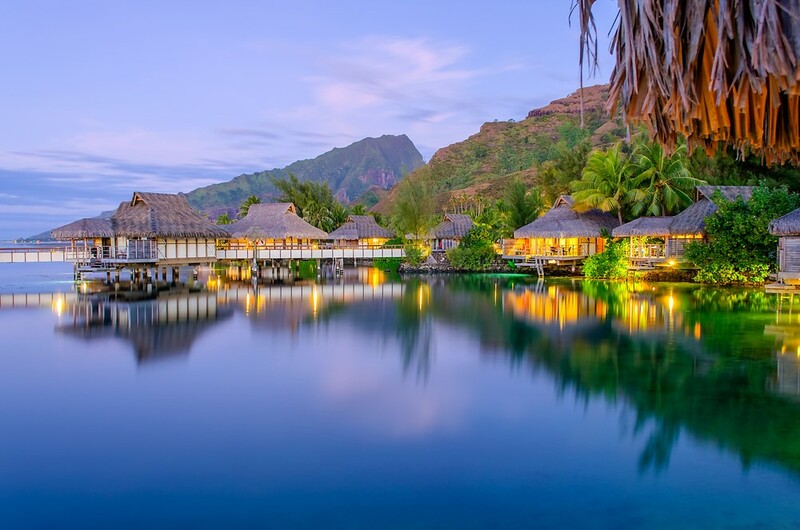 The bungalows in French Polynesia – If the French Polynesian 118 islands are anything, they’re absolutely one of the most romantic places on Earth. Here you’ll find the classic island idyllic like in the movies. And staying in an over-water bungalow will definitely make you feel like a movie star. Crystal clear waters, white sandy beaches, tranquility, swimming, snorkeling, love… You’ve got it all. Bora Bora, Tahiti, and so many others are waiting for you. These are spots where you can fully relax with a massage and gaze at the horizon. 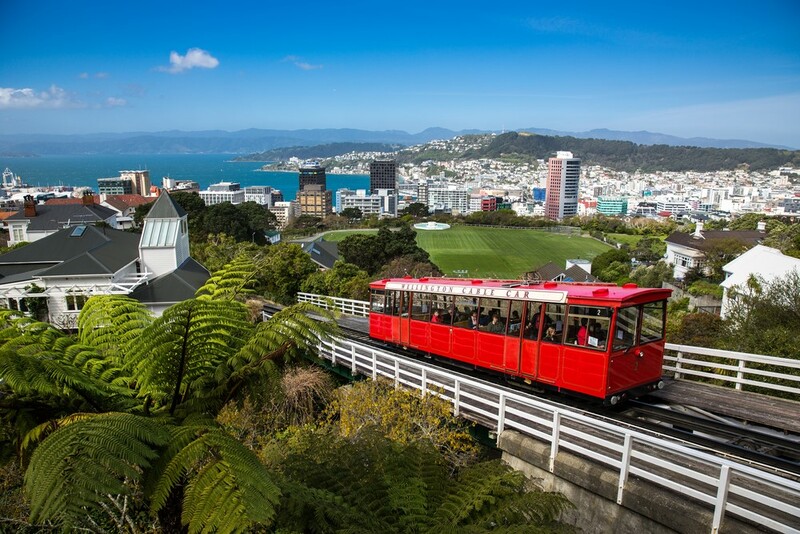 Wellington, New Zealand – Wellington is made for exploring. And if you’re willing to put a few kilometers behind you, then you must visit it. There is a tone of mysticism in all the promenades and the botanic gardens full of hundreds of plant species. What is more, you can climb hillsides and broad valleys that will leave you speechless. You can, also, visit the neighboring town of Martinborough, which has more than 20 vineyards. The best part is that you can be taken there by a horse-driven carriage. 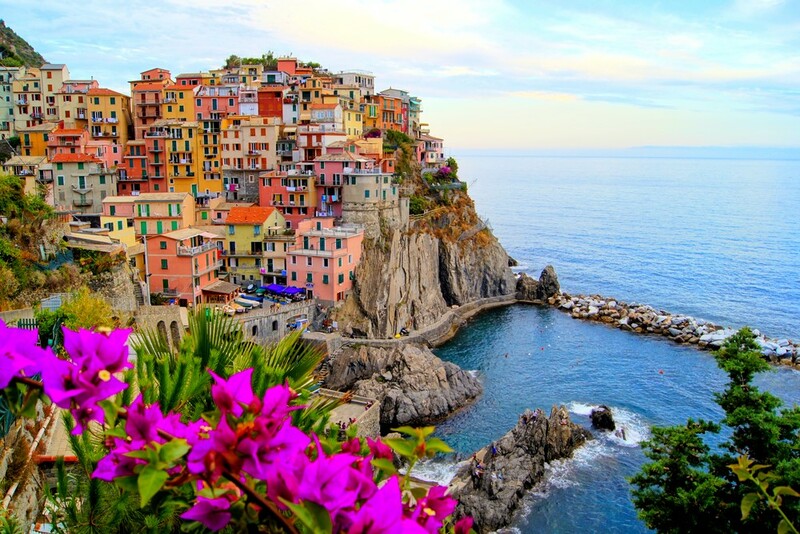 The colorful Italian Riviera – It’s unbelievably hard to pick just one Italian city or town. They’re all incredibly sweet and romantic in their own way. The Italian Riviera, nevertheless, shines with many cute little villages, long vineyards and panoramic views of the water that belong in a romance novel. It’s split into two regions. Riviera di Ponente, on the west, is the home of resorts, exclusive beaches, and nightlife, whereas the eastern Riviera di Levante is perfect for breath-taking rustic scenes and a peaceful atmosphere. 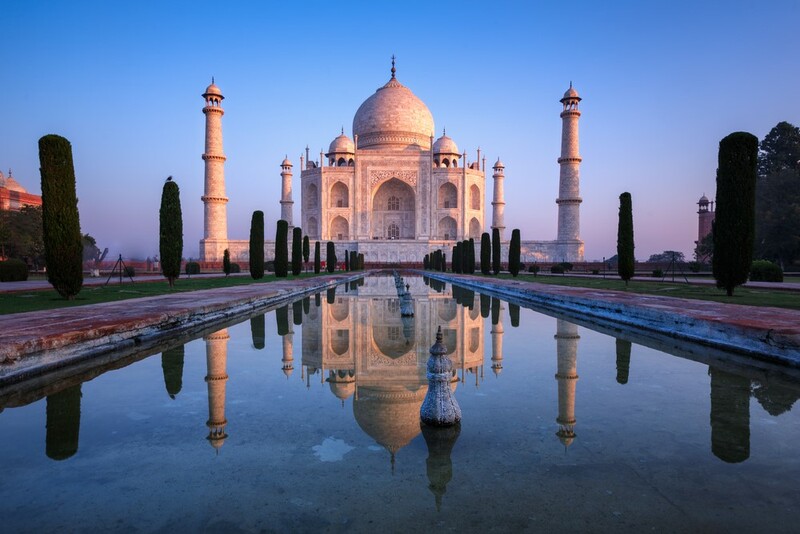 Taj Mahal, India – This Indian monument becomes well-known the moment you say that it’s protected by UNESCO. It’s considered the symbol of love and is located in Agra. The white marble mausoleum is one of the greatest monuments ever built. There were over 2 million visitors registered just in 2001. Considering that it’s the top of Muslim culture and architecture, it’s not always open and you’re permitted to take only a few items inside. 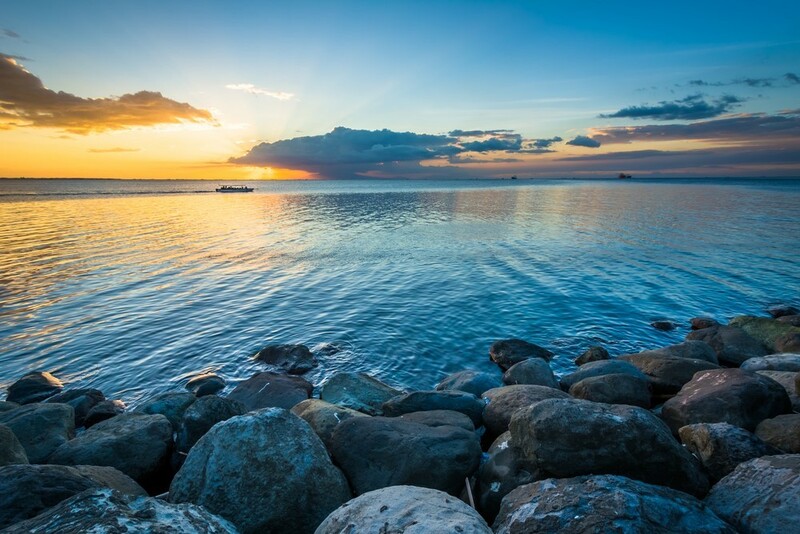 Manila Bay, Philippines – Manila Bay is believed to be one of the world’s greatest harbors. It practically defines the word picturesque. Despite the fact that it’s the center of trade and commerce, it’s quite romantic. And here’s why. Offered by many tour operators, The Manila Bay Sunset Cruise is the treat you’ve been looking for. For the best experience, you can sit on the upper deck of the cruise so that you can see the sun better as well as the mall and Manila’s skyline. It’s definitely a sight you won’t ever forget.